Apple has updated its online store to reflect the improved availability of the iPhone X in the United States, with potential customers informed they can purchase the mobile device with next-day delivery, or they can pick up their orders from a number of Apple retail outlets today in a majority of cases. 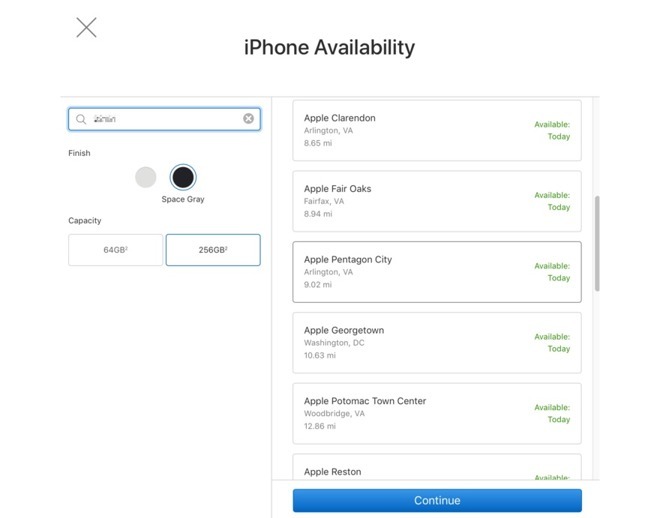 According to the Apple website, orders in the United States for all combinations of color and capacity of the iPhone X are claimed to be "In Stock" for deliveries, with orders arriving with customers as soon as "Tomorrow." This appears to apply to devices for all four major carriers, as well as the SIM-free variant. The delivery time is a considerable improvement from one week ago, the last time Apple made a major update to its expected order delivery periods. On December 10, it was noted orders in the U.S. had a wait time of 3 to 5 days for delivery in most cases, extended to nine days for T-Mobile units. In many cases, customers electing to pick up the iPhone X from their nearest Apple outlet will be able to do so today. A large number of stores show they have stock of the iPhone X for same-day pickup, though availability does not extend to all models of iPhone X in all stores. AppleInsider's checks of store availability suggest the higher 256-gigabyte capacity model is more likely to be sold out compared to the smaller 64-gigabyte version, though again this does vary between stores. It also appears that the iPhone X is becoming easier to acquire in other regions as well. Next-day delivery is now available in the United Kingdom, down from the previous 3 to 5 day shipment times noted earlier this month, with many stores also shown as having the iPhone X in stock for purchase. The lower lead times for deliveries are in line with expectations from analysts, who suggest that improvements to the supply chain have improved availability. In November, KGI analyst Ming-Chi Kuo suggested Apple assembly partner Foxconn is shipping between 450,000 and 550,000 iPhone X units per day, up from previous estimates of 50,000 to 150,000 units per day.